This year at my kiddos school I signed up to be an art parent for his class. Art parents are to head up a few major art projects throughout the year. One of them being a class project that is to be auctioned off at an annual fundraiser. After sorting through several ideas we decided on this one from Two Twenty One. The theme was An Evening in Napa. Only problem was we needed a way to allow each child to participate in making them so here's what we came up with! 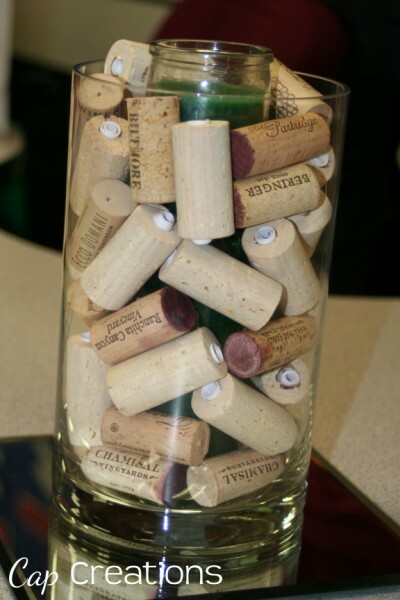 Several of our corks were personalized by each child. 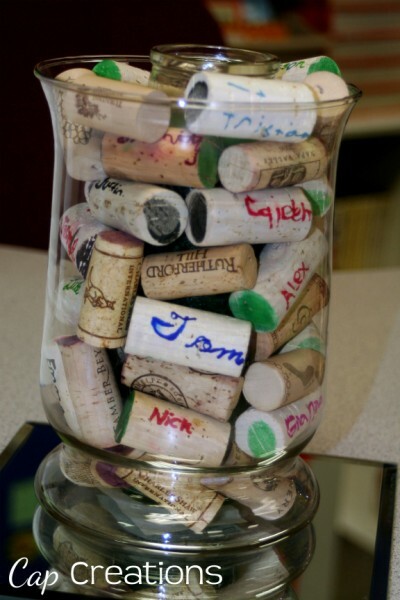 First up we have blank corks that each child wrote their name on and put a thumbprint on each end. 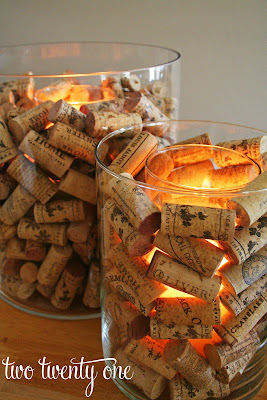 Next, they painted some corks and each came out different! And last, we drilled out the center of our corks and every child wrote their favorite Bible verse on a piece of paper. 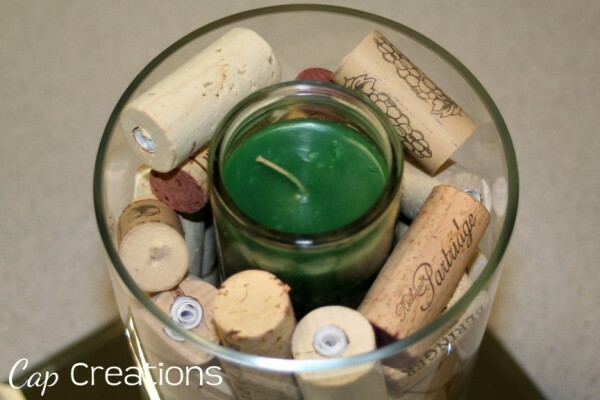 That paper was then rolled up and placed inside the corks. They were auctioned off in a set and went for $800!!! I was not at the auction but was told there was a slight bid war. I guess it was a hit! 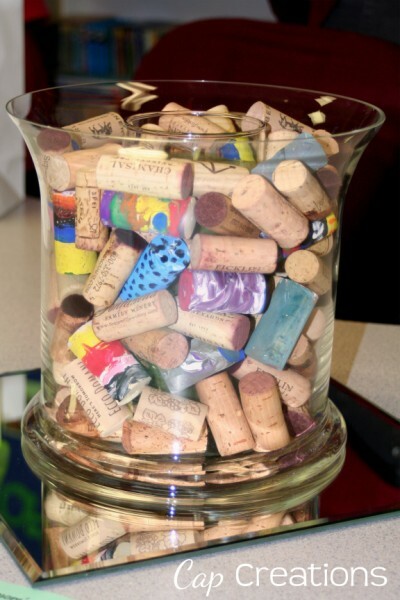 Our blank corks were donated from Inventive Gears on etsy and all other corks were donated from several friends! Thanks guys!! !